Aggiornato di recente 2 BR 2 Bagno completo Le Lisa Condo a North Ocean City, a pochi passi verso l'oceano. Godetevi un rilassante soggiorno estivo in questo recentemente aggiornato 2 BR 2 Full Bath Le Lisa 106 Condo a North Ocean City, a pochi passi verso l'oceano. Decorazioni affrescate e bellissime decorazioni New Beachy, arredi e bagni aggiornati sono stati appena completati per la stagione 2018. Questa proprietà può occupare una famiglia di 8 persone. Le dimensioni del letto includono una regina nel master, 2 letti full size nella camera 2 e un divano letto queen nella zona giorno. Ospite fornisce lenzuola e asciugamani, c'è una lavatrice e asciugatrice nel condominio per la vostra convenienza. L'edificio ha un ascensore per la vostra convenienza. Questa proprietà affitta mini settimane dal giovedì alla domenica o dalla domenica al giovedì e settimanali dalla domenica alla domenica o dal giovedì al giovedì. A pochi passi da cinema, ristoranti, locali di intrattenimento e la stazione degli autobus. Non fumatore. Non sono ammessi animali, per favore. I nostri proprietari non concedono il noleggio di gruppi per gli ospiti di età inferiore ai 25 anni. Si prega di notare che non pubblicizziamo alcuna proprietà sulla lista di Craig. Se vedi il contenuto delle nostre inserzioni sulla lista di Craig non è un annuncio legittimo dalle Prenotazioni centrali. Beautiful place. Very comfortable and clean. Loved it! Great place for weekend getaway! This was a very nice, clean place for our family to stay for the weekend at O.C. Nicely decorated inside, well kept and clean, and a nice big balcony outside. Easy walk to the beach. Master bedroom mattress was a bit droopy in the middle, and it would be really nice to have more places in the bathrooms to hang towels! The two full beds in the one bedroom are only big enough for two if your kids are small, not great for two adults. Overall a great little place! Nice place! Spacious, clean, good location. Couple of steps to the beach ... and a few steps to king kone for ice cream. Only disappointment was the coffee pot did not work - which made for tough mornings... and walks to Dunkin! Would visit again. Thank you for taking the time to review our rental property. We are glad that you found the property spacious and clean. I am sorry that you had problems with the coffee pot. I wish that you had reached out to us, we would have been happy to give you a new coffee pot for your stay. Please in the future, remember that we are here to help with any issues that may occur while in our property. We hope to see you again on your next trip to OC,MD. Our party of 7 over here had a great time. The condo has comfortable beds and overall good layout. Our favorite was to our surprise the fantastic balcony size. We enjoyed our coffees in the morning with that ocean breeze in the balcony. We were steps away from a delicious pizza and subs place, ice cream shop, and donut shop. We couldn’t ask for more. Can’t wait for our next trip. Thank you for taking the time to review our vacation rental at Le Lisa. We are so glad that your family enjoyed your stay in the condo. It sounds like you had some good balcony time and some good food! We look forward to seeing you again on your next trip to OC! I loved staying here for MDW, it was nice and the perfect size! Thank you so much for taking the time to reserve our condo. 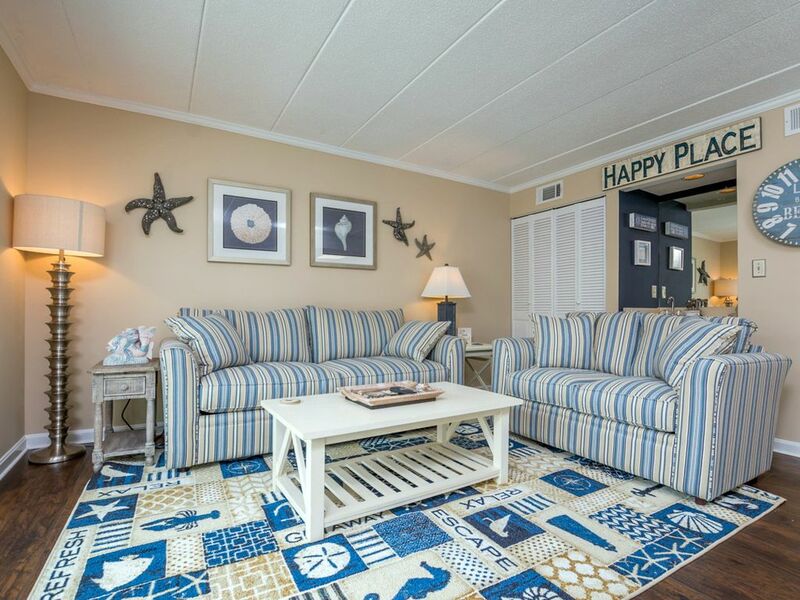 We are so glad that you liked the condo and enjoyed your trip to Ocean City. We hope to see your family again on your next trip to OC!